The Planet X project was born out of my love for the iconic WPA National Parks Posters. 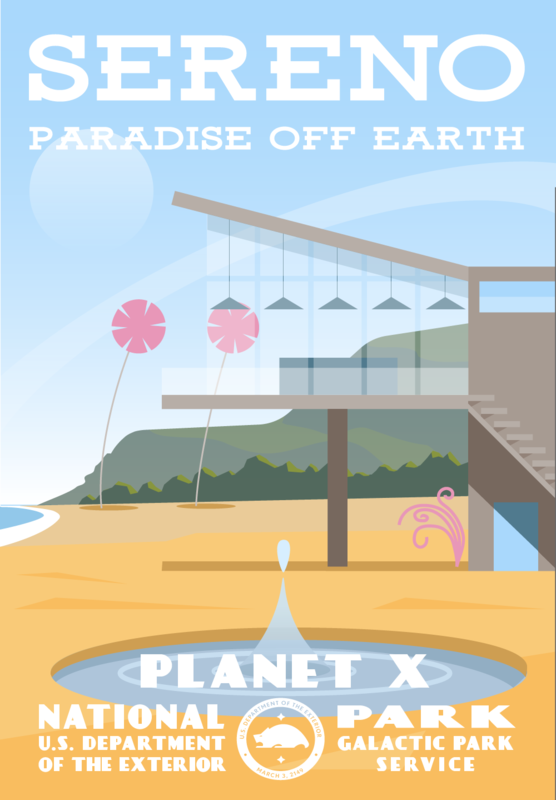 To give them a new twist, I created travel posters for parks on a faraway alien planet. I love the juxtaposition of sci-fi themes with the traditional look of the 1930's poster style.